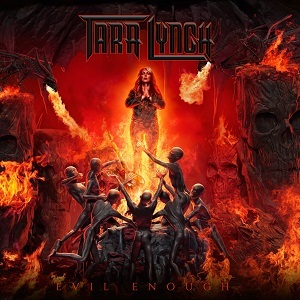 The album kicks off with the title track, “Evil enough” which features Mark Boals on vocals. Check out the video for the first single – “Antidote”.. Antidote is the first song with Tara Lynch doing the lead vocals. It’s a good melodic metal track. “Exit the warrior” is the first of four instrumental tracks on the album. It’s a really enjoyable instrumental and it’s not purely an extended guitar solo with a bit of padding around it as you see from some gutiarists – this has as much from the keyboards as from the guitar and it feels like a song rather than a solo. It’s a good album but it does feel like there’s potential for it to be better – a really fast heavy hard rock song would have added some much needed variety to the pace. Listening to the album just feels like driving a high performance sports car and enjoying it but never red-lining it to see just what it can really do.